The area around Achnacarry near Spean Bridge, is where thousands of allied troops came to train during World War II. The Commando Monument, just north of Spean Bridge is a category A listed large three-figure bronze statue commemorating the service and sacrifice given by thousands of Allied troops during the Second World War. It is a place where history was made and today the Monument is a place of reverence and respect, located in a stunning location overlooking Ben Nevis and the Mamore mountains. In the village of Achnacarry some six miles from the monument is a Commando Museum which has a lot more information and artefacts on the Commandos and is well worth visiting. Each year on Armistice Sunday a memorial service is held around the monument attended by veterans and their families, together with respectful locals and visitors. A Garden of Remembrance, which was subsequently added to the site, is used by many surviving World War II Commandos as the designated final resting place for their ashes. There’s a good car park at the monument, the winter and summer months regularly provide fantastic views. Well worth the visit, the memorial is an interesting and moving place. On a clear day it’s an amazing viewpoint of the surrounding mountain ranges of the Grey Corries, Aonach Mòr and Ben Nevis. There’s a nice circular walk nearby the monument too, which links the two historic sites of the Commando Memorial and the ruins of High Bridge. 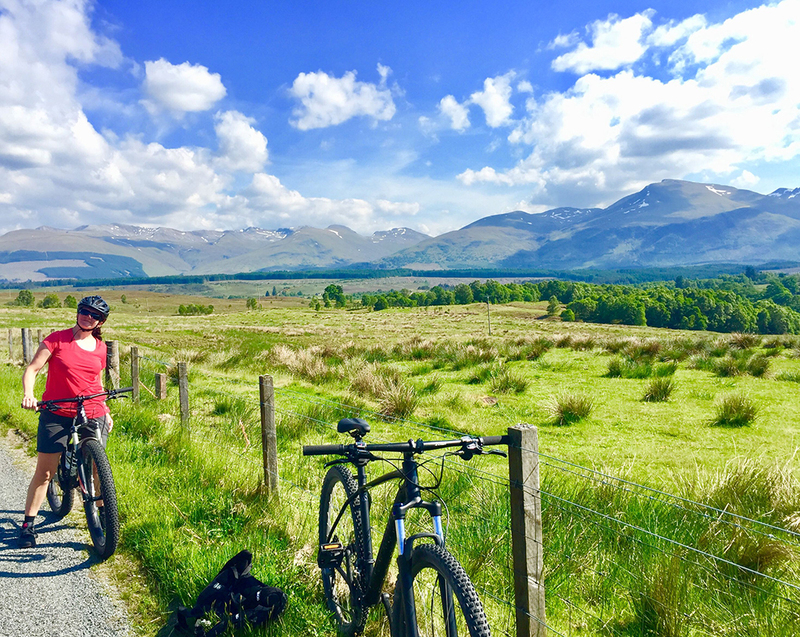 It’s an easy circular route that passes through lovely woodland and alongside the River Spean, on a good day offering great views to Ben Nevis throughout. From Blythedale House, Kerry and I have also cycled to the Commando Memorial taking the Caledonian Canal pathway, then looping back through Leanachan Forest, even stopping off at the Pinemarten Café at Nevis Range for a refreshment, but this is a much more arduous and full day activity!